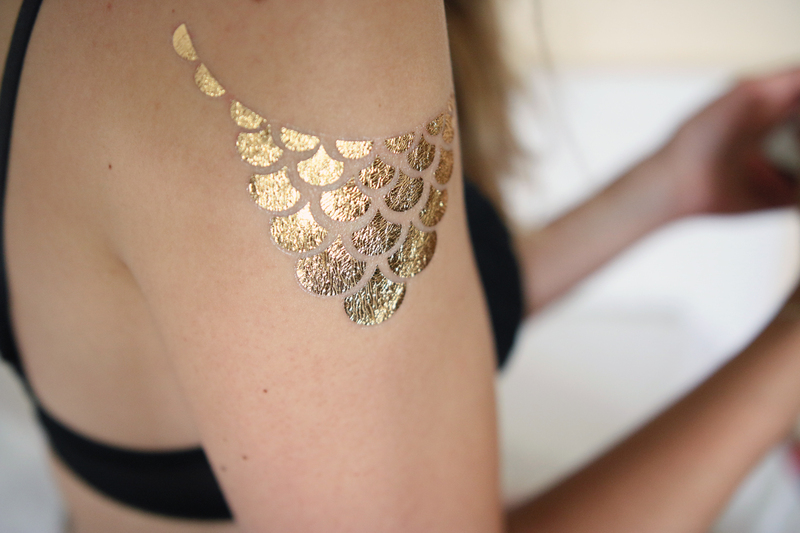 En: You've probably already noticed the trend of temporary tattoos. Great for summer and festivals! So I want to introduce you to the brand Zomerinkt. A brand that offers three packages of different temporary tattoo designs; Annabel, Camille and Ella. 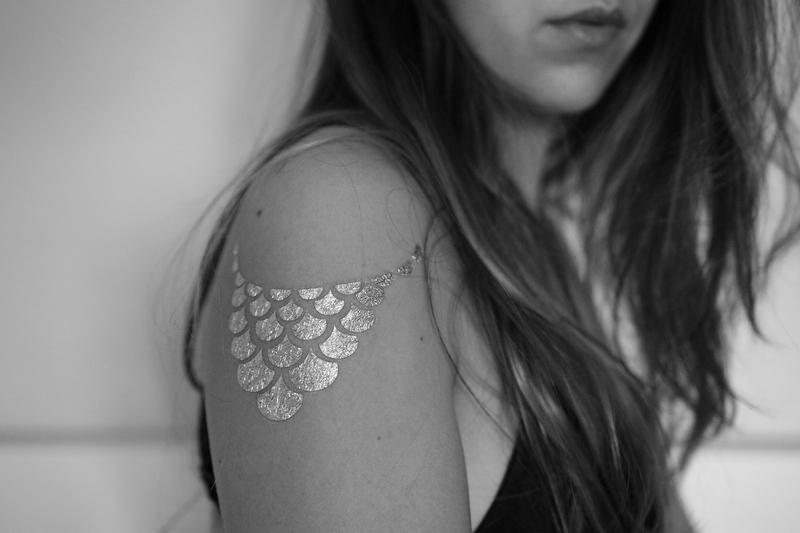 I received the package Ella, which consists of gold, silver and blue tattoos. The fresh blue colors that are included you can already check on the site, and I will show you later this summer more photos! I love the fact that these tattoos give your outfit a bohemian vibe right away, without adding any jewelry. They also stick great! After five days they don't look that great anymore, however they will stick definitely long enough for a festival or party. Did you heard of the brand Zomerinkt before? Nice tattoos, how long it will be on your body? Hele mooie foto's en tattoos! Oh wauw wauw! Vind dit zo mooi, ik moet echt van die flash tattoos gaan bestellen. Super tof! Dit merk kende ik nog niet, maar de trend zelf zie ik inderdaad heel erg vaak voorbij komen. Leuk voor in de zomer! Super mooi! Vooral die op de rug is echt leuk. Dit is zo leuk! Totally love it.